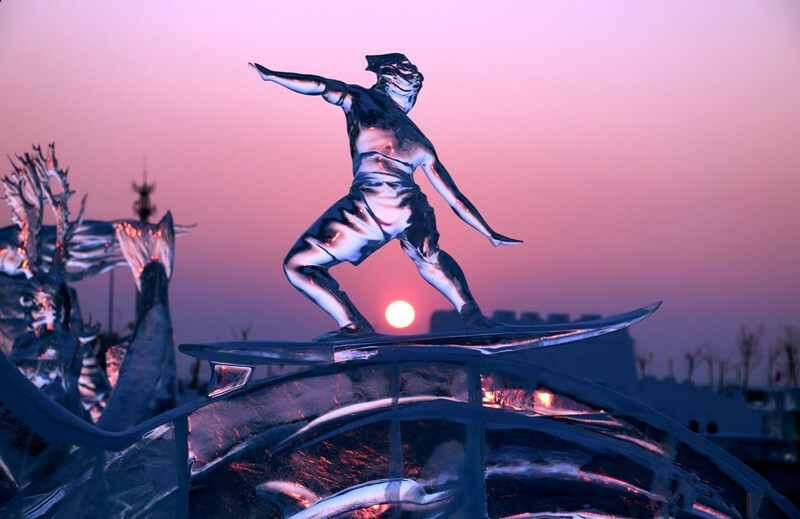 In this 5-Day White Romantic Tour of Harbin, we will experience one of the coldest winter in China, explore an ice sculptures world in Harbin Ice Festival, travel to the China’s snow town to experience local life，and have exciting snow activities on Yangcaoshan mountain. This will be an unforgettable romantic winter in your lifetime. Driver Service (one-way airport to hotel): Upon arrive in the exquisite and historic Harbin City, you’ll be met and transferred to the hotel, where the staff will assist you with your check in (if room available). Free at leisure for recovering from the cold weather. 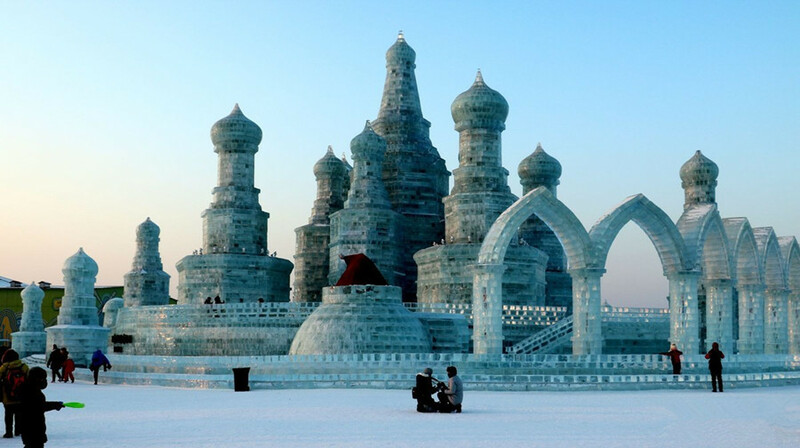 Driver & Guide Service: Get up early and drive about 6-7 hours to the beautiful China’s Snow Town (Xue Xiang). 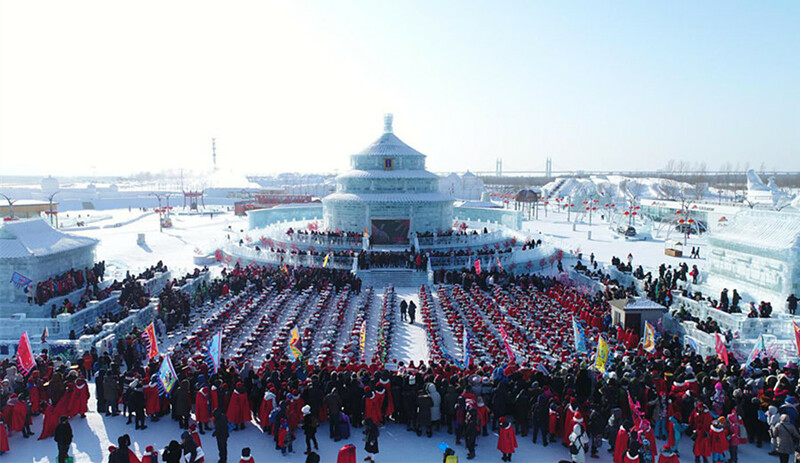 Upon your arrival, we will have lunch in a local farmer’s restaurant, and then take your time walk around the Snow Town, look at the nature and experience the lifestyle of the local people. Have a walk on the “Snow Charm Avenue“, which is full of simple farming village characteristics in Northeastern China. Driver & Guide Service: Get up in the early morning, drive or you may choose to take the snowmobile (about RMB220/pp or $36/pp) to Yangcaoshan Mountain, where you will enjoy the beautiful sunrise and snowscape. After simple Chinese breakfast, free at leisure to enjoy the snow activities in the village (self-paid item), like dog sledding. After lunch, drive back to Harbin and free at leisure in the evening. Driver & Guide Service: Morning enjoy a walk on the historical Central Street to find some historical and cultural facts about Harbin, then move to explore Stalin Park. The park stands as evidence of the friendship between the world’s two most powerful communist countries at that time. At the center of Stalin Park stands the Flood Control Monument built to commemorate the tremendous feat of the Harbin people in controlling the massive flood of 1957. 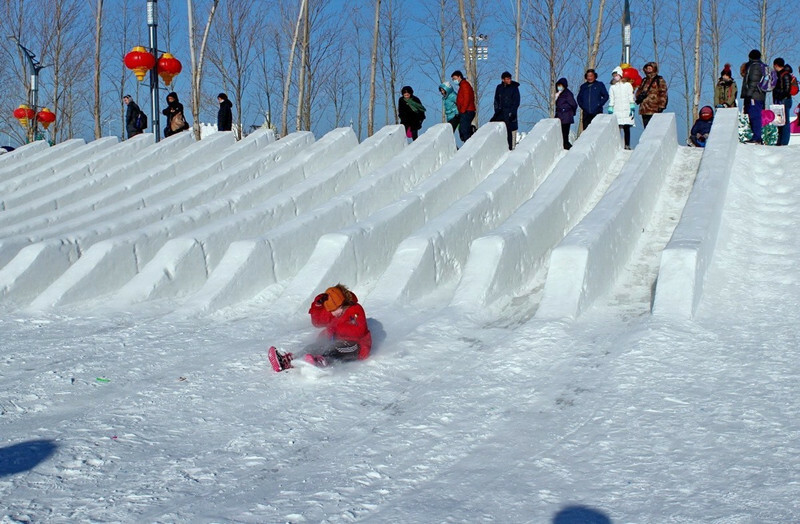 Afternoon transfer to the Sun Island, where the International Snow Sculpture Art Expo is held you will see various snow sculptures featuring different cultures. Move to the Siberian Tiger Park to have a safari-style trip- we will be caged in a specially protected bus to see the tigers and lions. 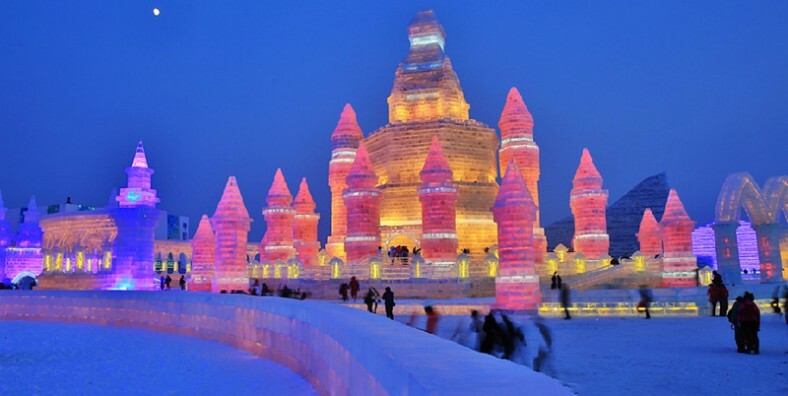 In the evening, explore the Ice and Snow World (no tour guide service for the group of less 5 people in the park) – an interesting theme park of the ice festival that operates each night and features illuminated full size buildings made from blocks of ice. Driver Service (one-way hotel to airport): After breakfast, say goodbye to Harbin before we drive to the airport, where the tour ends.